Click the Facebook icon below for the Social Page! Welcome To Better Beats Entertainment! 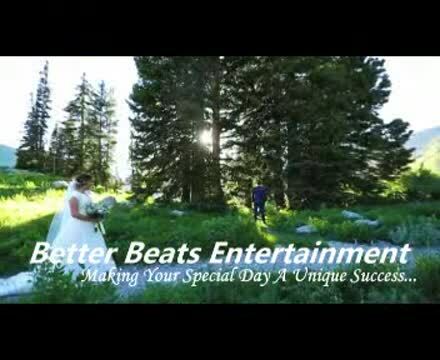 Better Beats Entertainment LLC is a registered and insured business that provides DJ entertainment for Weddings, Upscale Private Events, Nightclubs, Bar Mitzvah's, Proms, Corporate Events, Large-Scale Events, and Festivals with a variety of packages at an affordable price. We have provided entertainments to the NYC, New Jersey, Baltimore, and Hudson Valley areas throughout the years with our professional service. Better Beats Entertainment was established in 2006 providing some of the most unique events in the tri-state area! "We pride ourselves on making every occasion special by working with you to meet any and all requests. Our top priority is to provide a wide variety of sound, lighting, and entertainment products to our clients, while encouraging the highest level of ethics within the mobile entertainment industry." We hope you can find everything you need. Better Beats Entertainment is focused on providing high-quality service and customer satisfaction - we will do everything we can to meet your expectations. With a variety of offerings to choose from, we're sure you'll be happy working with us. Look around our website and if you have any comments or questions, and if you would like to set up a meeting to structure your perfect and unique event, please feel free to contact us. Please use the Menu at the top of the page to see what we have to offer! First Time Customer? Receive An Information Packet With A $50 Gift Card! Hudson Valley Gold Rewards Member!